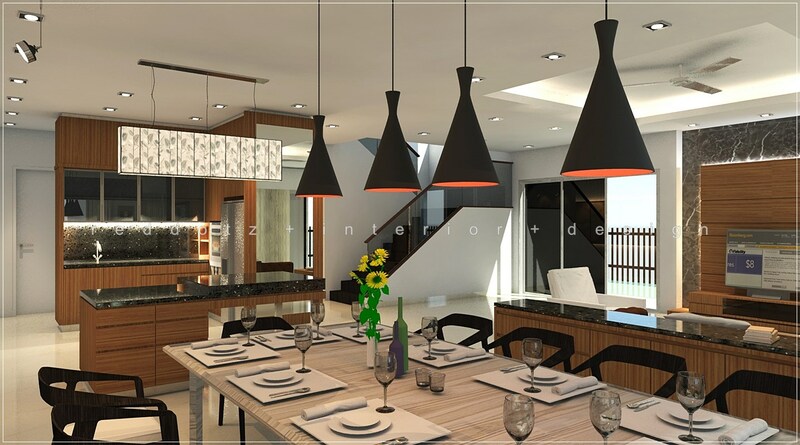 An open yet harmony living space with free flowing layout planning. Family members can carry out their own activities on desire areas without interfering each others while still maintaining certain degrees of interaction among them. Low cabinet and kitchen island is placed smartly as a spatial divider between each functional areas.